From this view, one may think they were looking at a rock or an organism under a microscope. 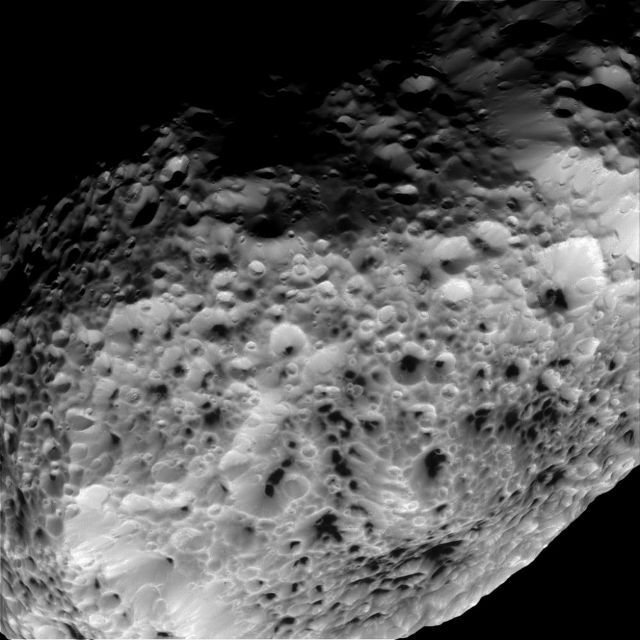 But in fact this is a picture of Hyperion, one of Saturn’s moons. NASA’s Cassini spacecraft took this picture (from 38,000 km) of the odd shaped moon using its narrow angle camera. Egonu crater on Mercury | Secrets of Space on What are the planets in our solar system?